From being featured in the new film Blockers to getting a shoutout on Dr. Phil by Dr. Phil himself, TapSnap is no stranger to the spotlight. Check out some of our favorite television and film appearances below! Celebrity chef Gordon Ramsay has yet another show in the works with Fox TV. 24 Hours To Hell & Back will feature the chef applying his culinary expertise as he turns kitchens in need of a little TLC into wow-worthy kitchens in just 24 hours. The series is premiering on June 13th and you don't want to miss it! Although Gordon Ramsay is known to be a harsh critic, he had a blast with TapSnap. Check out the fun photo below! Total Divas is a reality show on E! that features female WWE wrestlers sharing their personal and professional lives with the world. 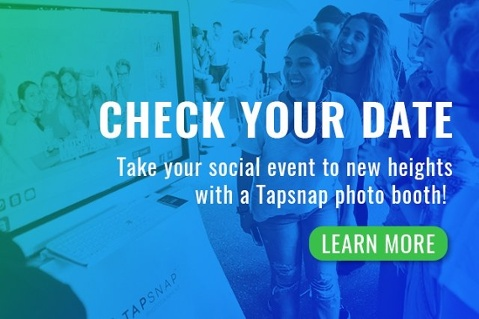 TapSnap made an appearance on the show during Rosa Mendes' baby shower. The girls had a blast posing in front of the green screen and trying out all of the digital props. Check out the clip below! Dr. Phil is one of the most popular daytime talk shows on American television and he loved taking photos with TapSnap! Members of the show's audience had the opportunity to take photos in the photo booth and enjoyed physical props and fun green screens. Watch Dr. Phil and his wife Robin McGraw gush about TapSnap in the video below! Blockers is a comedy directed by Kay Cannon which stars Leslie Mann, Ike Barinholtz, and John Cena as parents trying to protect their teenage daughters. The film is currently playing in theatres so buy a ticket and keep your eyes out for the TapSnap photo booth near the beginning of the film! If you're interested in creating an unforgettable experience for guests at your event, you can learn about what we do here or you can check your date below!